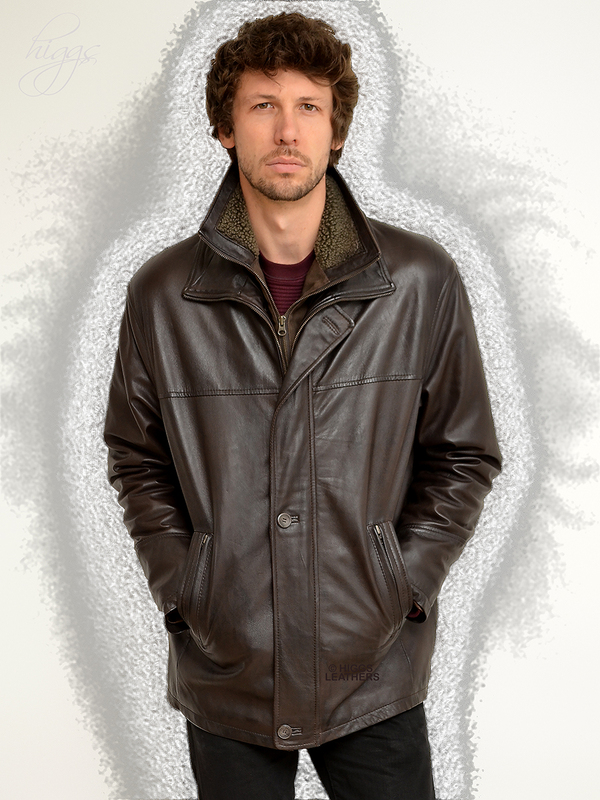 From our wonderful selection of longer length Black Leather jackets for men! 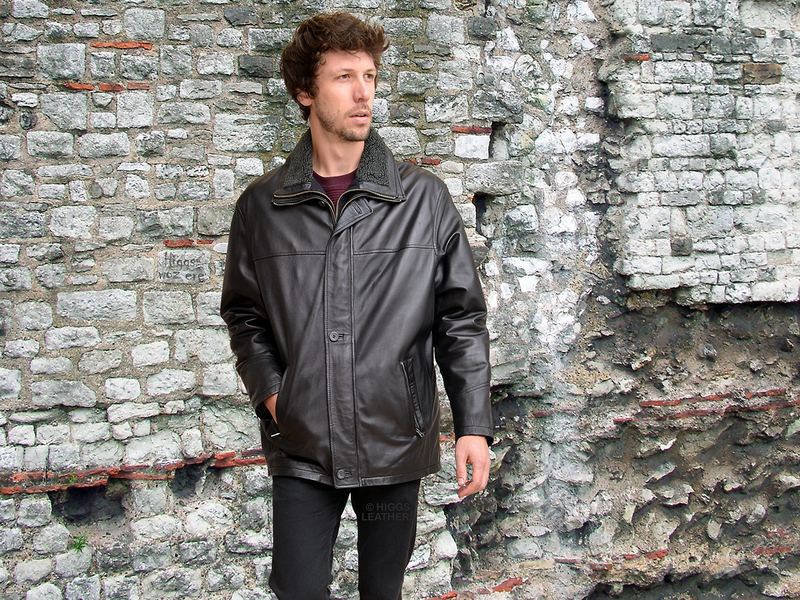 Men's 3/4 length Black Leather jackets, made from extra soft Sheep Nappa skins. Straight easy cut body and sleeves, designed to be worn comfortably over thicker winter clothing. Four full size outer pockets (two with metal zip fastenings). Pictured with the warm Faux Sheepskin collar that is completely detachable for warmer weather. These superb quality Black Leather jackets will give many years of wonderful warmth and good wear! Also available in Antique Brown matt finish Nubuck or Dark Brown Nappa Leather (pictures below). Epson style men's Antique Brown shade matt finish Nubuck Leather. 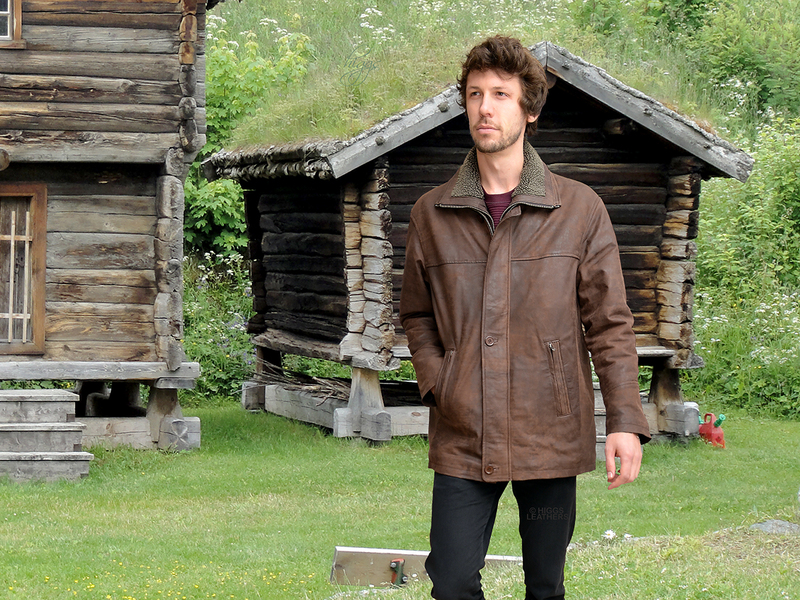 Epson style Dark Brown Leather jackets for men.